At Istok Church Supplies, we strive to offer every type of custom vestment required by Orthodox Christian communities around the world today. In this collection, you will find high quality, reasonably priced miscellaneous vestment articles such as kosovorotkas, clergy shirts, clergy waistcoats, lectern covers and priest sticharions among others in a variety of designs and fabrics. We offer finely stitched Russian style kosovorotkas for adults and children. Children’s kosovorotkas are available in standard US and European sizes and customers can select the fabric, color and sleeve type from given list of options. Customers also have the option to add embroidery and edge piping to their order. Adult kosovorotkas are available in both standard sizes and custom sizes - experienced tailors at our European workshop take great care to ensure the garment is constructed with strong stitching details to ensure durability and value. Customers can also find standard size as well as custom made clergy waistcoats and collar shirts in this collection. 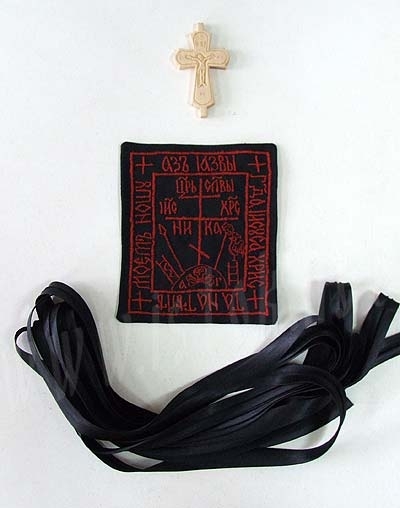 Apart from these, we offer fairly priced, made-to-measure priest sticharions (podriznik) with quick worldwide shipping. Customers can select from a range of colors including white, blue and red and also select from a variety of fabrics such as cotton, rayon, crepe-satin, linen, man-made silk kashibo and natural silk. Priest sticharions are offered in an array of attractive embroidery designs such as cornflowers, lily, forget-me-not, poppy, chrysanthemum located at the bottom and many other. The Podsakkosnik available for purchase in this collection are truly worth the price and these too come with attractive embroidery details at the bottom. 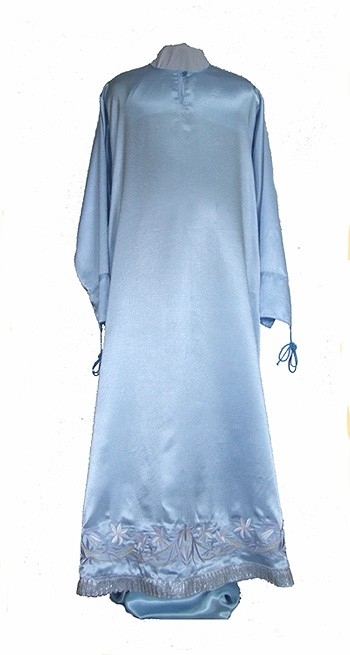 If you’re looking for a traditional Orthodox Christian monastic paraman set, an apron for Holy Table consecration or a lavishly embroidered palitsa you will find it here in this collection. Last but not the least, on offer are beautiful lectern covers in a variety of church fabrics and ecclesiastical color combinations. We are always upgrading our collection, so keep coming back to check out the latest additions!